CALGARY, Aug. 9, 2017 /CNW/ – Keyera Corp. (TSX:KEY) (“Keyera”) announced its second quarter 2017 results today, the highlights of which are included in this news release. The entire press release can be viewed by visiting Keyera’s website at www.keyera.com, or, to view the MD&A and financial statements, visit either Keyera’s website or the System for Electronic Document Analysis and Retrieval at www.sedar.com. 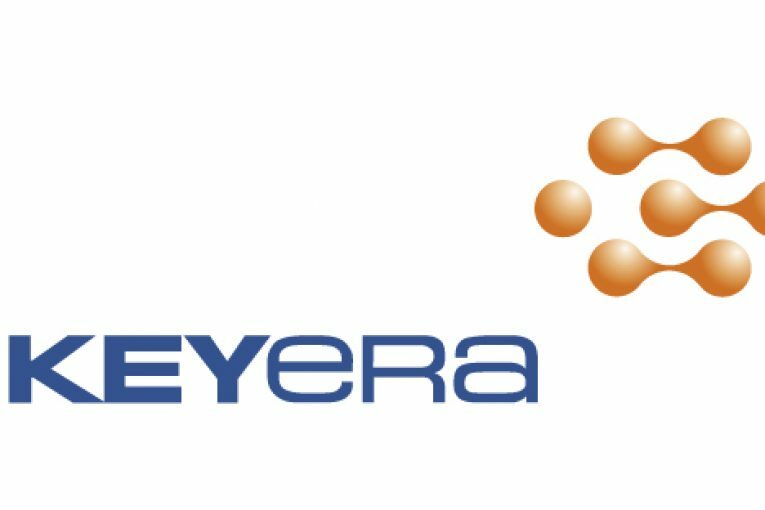 Keyera delivered solid financial results in the second quarter of 2017 with net earnings of $67 million ($0.36 per share) compared to $60 million ($0.34 per share) reported in the second quarter of 2016. The Gathering and Processing segment recorded operating margin of $67 million (Q2 2016 – $70 million) in the second quarter. Quarterly gross processing throughput volumes were 1,441 million cubic feet per day slightly higher than both the same period last year and the first quarter of 2017. The Liquids Infrastructure segment reported record operating margin of $67 million (Q2 2016 – $59 million) for the quarter, as the Norlite diluent pipeline came into service and condensate deliveries increased. The Marketing segment’s operating margin was $21 million (Q2 2016 – $25 million). Marketing’s results were mainly affected by an unplanned outage at Alberta EnviroFuels (“AEF”) that reduced iso-octane sales, as well as lower propane margins. AEF has operated at full capacity since the repairs were completed. Adjusted earnings before interest, taxes, depreciation and amortization (“Adjusted EBITDA”)1 was $133 million, compared to the $158 million reported in the second quarter of the previous year. Distributable cash flow1 was $108 million or $0.57 per share (Q2 2016 – $138 million or $0.78 per share), resulting in a payout ratio of 72%1 for the second quarter of 2017 and 66%1 year to date. On May 31st, Keyera announced the sanctioning of the first phase of the Wapiti natural gas gathering and processing complex, which is expected to be operational in mid-2019 based on the current construction schedule2. Phase one includes 150 million cubic feet per day of sour gas processing capacity with acid gas injection capabilities and is supported by a long-term, fee-for-service gas handling agreement that includes an area dedication and take-or-pay commitments. During the quarter, the Norlite diluent pipeline, a joint-venture project with Enbridge, was completed and commercial operations began prior to the end of the quarter. A portion of the associated take-or-pay fees were effective May 1st, 2017. Keyera advanced work on its Keylink NGL pipeline system and the Simonette gas plant expansion. Keylink will connect eight of Keyera’s gas plants providing producers with a safe, reliable and cost effective transportation alternative. The expansion at the Simonette gas plant will increase the plant’s liquids handling capacity to 27,000 barrels per day. Keyera is targeting mid-2018 to complete both projects2. With the sanctioning of the Wapiti complex, Keyera now expects to invest growth capital of between $800 million and $900 million in 2017 to further enhance and expand its network of integrated assets2. This growth capital range includes the acquisition cost of Keyera’s 50% interest in South Grand Rapids diluent pipeline, which is currently under construction. Keyera uses certain “Non-GAAP Measures” such as Adjusted EBITDA, Distributable Cash Flow, Distributable Cash Flow per Share and Payout Ratio. See sections titled “Non-GAAP Financial Measures”, “Dividends: Distributable Cash Flow” and “EBITDA” of the MD&A for further details. See section titled “Capital Expenditures and Acquisitions” of the MD&A for further discussion of Keyera’s capital investment program. Payout ratio is defined as dividends declared to shareholders divided by distributable cash flow. Payout ratio and distributable cash flow are not standard measures under Generally Accepted Accounting Principles (“GAAP”). See the section titled, “Dividends: Distributable Cash Flow”, for a reconciliation of distributable cash flow to its most closely related GAAP measure. Adjusted EBITDA is defined as earnings before interest, taxes, depreciation, amortization, accretion, impairment expenses, unrealized gains/losses and any other non-cash items such as gains/losses on the disposal of property, plant and equipment. EBITDA and Adjusted EBITDA are not standard measures under GAAP. See section of the MD&A titled “EBITDA” for a reconciliation of Adjusted EBITDA to its most closely related GAAP measure. Fractionation throughput in the Liquids Infrastructure segment is the aggregation of volumes processed through the fractionators and the de-ethanizers at the Keyera and Dow Fort Saskatchewan facilities. Working capital is defined as current assets less current liabilities. Keyera’s business performed well in the second quarter of 2017, generating solid financial results that reiterate the strength of our growing integrated, fee-for-service offering. Gross processing throughput volumes in the Gathering and Processing segment increased over the prior quarter while our Liquids Infrastructure segment delivered record financial results once again. These positive contributions were, however, offset by a nine-week unscheduled outage at AEF from February to April and lower propane margins. As a result, Adjusted EBITDA was $133 million in the second quarter compared to $158 millionin the same period of 2016 and distributable cash flow was $108 million versus $138 million in same period last year. Net earnings were $67 million or $0.36 per share, increasing from the $60 million or $0.34 per share recorded in the second quarter of 2016. We are very pleased with the progress we are making on our growth projects as we continue to expand and enhance our integrated network of assets and deliver midstream solutions to our customers. With the approval of the Wapiti gathering and processing complex, we increased our expected capital investment to between $800 and $900 million for the current year. Currently, most of our projects are coming in on schedule and under budget. A number of these projects are expected to be in service and generating incremental cash flow within the next year. With our strong balance sheet, we are well positioned to pursue business development opportunities that will add to our growth profile. In the Gathering and Processing business unit, operating margin for the second quarter of 2017 was $67 million, just below the $70 million reported in same period of 2016. Overall, our quarterly gross processing throughput volumes were 1,441 million cubic feet per day, 2% higher than the prior quarter and 1% higher than the same period last year, as producers continue to be active in areas rich in natural gas liquids. At our Simonette gas plant in particular, we have seen a surge in throughput, setting a new record in June as producers continue to develop the liquids-rich Montney geological zone. However, throughput volumes were lower at our Strachan and Rimbey gas plants. We are very excited to be proceeding with construction of the first phase of the Wapiti gathering and processing complex. Work at the site is already well underway, with phase one including 150 million cubic feet per day of sour gas processing capacity and 25,000 barrels per day of condensate handling facilities. The project is expected to be completed by mid-2019 and will complement our existing Wapiti pipeline and Simonette gas plant and increase our presence in one of the most exciting geological developments in the Western Canada Sedimentary Basin. Phase one is underpinned by a long-term fee-for-service gas handling agreement, which subject to the closing of a third-party transaction, will be assumed by Paramount Resources Ltd. We have developed other projects with Paramount and are looking forward to having them as our primary customer for phase one. We are also actively negotiating with several other producers in the area to nominate additional volumes to support the sanctioning of the second phase of the project. Phase two would add an additional 150 million cubic feet per day of sour gas processing capacity. The estimated capital cost of phase one is $470 million while the total estimated cost of both phases is expected to be approximately $625 million. Looking ahead to the third quarter, throughput volumes at several Keyera gas plants will likely be intermittently affected by maintenance-related curtailments across the TransCanada sales gas pipeline system. Volumes will also be affected by a scheduled maintenance turnaround at our Simonette gas plant. To minimize the impact on our customers, we have planned this 19 day turnaround in August to coincide with the TransCanada forecasted curtailments. For the fourth consecutive quarter, the Liquids Infrastructure segment posted record quarterly financial results. Operating margin was $67 million in the second quarter of 2017, an increase of 4% over the previous quarter and 14% higher than the same period last year. This achievement was primarily due to the growing utilization of Keyera’s condensate network, the completion of the Norlite diluent pipeline and increased fractionation volumes at our Keyera Fort Saskatchewan energy complex. The Norlite pipeline became operational prior to the end of the quarter, further enhancing our industry-leading condensate network. Norlite is backed by take-or-pay agreements with the owners of the Fort Hills oil sands project and has the capacity to transport more diluent volumes for other oil sands customers. In addition, the Norlite pipeline is connected to our Fort Saskatchewan condensate system, which provides customers with multiple sources of diluent supply and storage and transportation options. A portion of the take-or-pay fees associated with the Norlite pipeline as well as associated condensate services began May 1st, with the remainder of the fees beginning August 1st. Within the next six months, we expect to place our next two major joint venture projects into service—the South Grand Rapids diluent pipeline, a joint venture with TransCanada and Brion Energy, as well as the first set of tanks at the Base Line Terminal crude oil storage facility, a joint venture with Kinder Morgan. Following these projects, the Keylink NGL gathering pipeline system and an additional storage cavern at Keyera Fort Saskatchewan are expected to be completed and operational by mid-2018. With the significant capital projects underway, the Liquids Infrastructure segment will continue serving our customers’ needs while growing cash flows over time. The Marketing segment reported a quarterly operating margin of $21 million compared to $25 million in the same quarter of 2016. Excluding the effect of unrealized gains and losses from risk management contracts, the realized margin was $23 million compared to $46 million in the second quarter of last year. Marketing’s results were affected by an unscheduled outage at AEF that reduced the contribution from iso-octane sales, as well as lower propane margins. Overall, we expect a lower contribution from the Marketing segment in 2017 compared to 2016. During the quarter, our iso-octane business was affected by a nine week unplanned outage at AEF that extended into April, along with higher butane costs relative to the second quarter of 2016. Following the completion of the repair work, AEF produced iso-octane at capacity by the start of May and has continued to perform well since that time. I would like to thank the AEF team for their continued dedication and attention to safety, which was evident even during the challenges of the unplanned outage. With the startup of the Norlite diluent pipeline, Keyera begins its next wave of growth projects that will add incremental cash flows over the next 12 to 24 months. Looking beyond this time horizon, we continue to pursue a number of attractive business development opportunities. With a strong balance sheet and access to capital, Keyera is well positioned to execute the right opportunities that improve and complement our existing infrastructure assets. We remain focused on growing our business to deliver long-term shareholder value. On behalf of Keyera’s board of directors and management team, I would like to thank our employees, customers, shareholders and other stakeholders for their continued support. Keyera Corp. (TSX:KEY) operates one of the largest midstream energy companies in Canada, providing essential services to oil and gas producers in the Western Canada Sedimentary Basin. Its predominantly fee-for-service based business consists of natural gas gathering and processing, natural gas liquids fractionation, transportation, storage and marketing, iso-octane production and sales, and an industry-leading condensate system in the Edmonton/Fort Saskatchewan area of Alberta. Keyera strives to provide high quality, value-added services to its customers across North America and is committed to conducting its business ethically, safely and in an environmentally and financially responsible manner. Certain statements contained in this news release and accompanying documents contain forward-looking statements. These statements relate to future events or Keyera’s future performance. Such statements are predictions only and actual events or results may differ materially. The use of words such as “anticipate”, “continue”, “estimate”, “expect”, “may”, “will”, “project”, “should”, “plan”, “intend”, “believe”, and similar expressions, including the negatives thereof, is intended to identify forward-looking statements. All statements other than statements of historical fact contained in this document are forward-looking statements. The forward-looking statements reflect management’s current beliefs and assumptions with respect to such things as the outlook for general economic trends, industry trends, commodity prices, capital markets, and the governmental, regulatory and legal environment. In some instances, this news release and accompanying documents may also contain forward-looking statements attributed to third party sources. Management believes that its assumptions and analysis in this news release are reasonable and that the expectations reflected in the forward-looking statements contained herein are also reasonable. However, Keyera cannot assure readers that these expectations will prove to be correct. All forward-looking statements involve known and unknown risks, uncertainties and other factors that may cause actual results, events, levels of activity and achievements to differ materially from those anticipated in the forward-looking statements. Such factors include but are not limited to: general economic, market and business conditions; access to capital and debt markets; operational matters, including potential hazards inherent in our operations; risks arising from co-ownership of facilities; activities of other facility owners; access to third party facilities, competitive action by other companies; activities of producers and other customers and overall industry activity levels; changes in gas composition; fluctuations in commodity prices and supply/demand trends; processing and marketing margins; effects of weather conditions; availability of construction crews and materials; fluctuations in interest rates and foreign currency exchange rates; changes in operating and capital costs, including fluctuations in input costs; actions by governmental authorities; compliance with regulatory requirements; decisions or approvals of administrative tribunals; changes in environmental and other regulations; reliance on key personnel; competition for, among other things, capital, acquisition opportunities and skilled personnel; changes in tax laws, including the effects that such changes may have on shareholders, and in particular any differential effects relating to shareholder’s country of residence; and other factors, many of which are beyond the control of Keyera, some of which are discussed in this news release and in Keyera’s Annual Information Form dated February 14, 2017, filed on SEDAR at www.sedar.com and available on the Keyera website at www.keyera.com. Proposed construction and completion schedules and budgets for capital projects are subject to many variables, including weather; availability and prices of materials; labour; customer project schedules and expected in service dates; contractor productivity; contractor disputes; quality of cost estimating; decision processes and approvals by joint venture partners; changes in project scope at the time of project sanctioning; regulatory approvals, conditions or delays (including possible intervention by third parties); and macro socio-economic trends. Pipeline projects are also subject to Keyera’s ability to secure the necessary rights of way; and underground cavern development is dependent on sufficient water supply. As a result, expected timing, costs and benefits associated with these projects may differ materially from the descriptions in this news release. Further, some of the projects discussed in this news release are subject to securing sufficient producer/customer interest and may not proceed if sufficient commitments are not obtained. Typically, the earlier in the engineering process that projects are sanctioned, the greater the likelihood that the schedule and budget may change. Expected closing of acquisitions and financings are subject to satisfaction of closing conditions which may vary depending on the nature of the transactions. Acquisitions may be subject to rights of first refusal and other third party consents. Readers are cautioned that they should not unduly rely on the forward-looking statements in this news release and accompanying documents. Further, readers are cautioned that the forward-looking statements in this document speak only as of the date of this news release. Any statements relating to “reserves” are deemed to be forward-looking statements as they involve the implied assessment, based on certain estimates and assumptions that the reserves described can be profitably produced in the future. All forward-looking statements contained in this news release and accompanying documents are expressly qualified by this cautionary statement. Such statements speak only as of the date hereof. Further information about the factors affecting forward-looking statements and management’s assumptions and analysis thereof, is available in filings made by Keyera with Canadian provincial securities commissions, which can be viewed on SEDAR at www.sedar.com.